Siege of Constantinople (717-718) - After the Arabs conquered the Sāssānid Empire, the rising Islamic Umayyad Caliphate became the Byzantine Empire's chief rival. This was the same caliphate which was simultaneously conquering Hispania and threatened Europe from the west. It was spreading like wildfire and seizing Byzantine territory in the East. Since the Battle of Yarmuk in 636, the Arabs had made it a primary goal of theirs to capture Constantinople, the capital of the Byzantine Empire (then it had been the Rashidun Caliphate, now it was the Umayyad). At the time, Constantinople was perhaps the most glorious city on earth, as well as the most fortified, and its conquest would have been a major coup. Starting in 717, the Arabs launched two major assaults in consecutive years with the ultimate goal of conquering Constantinople. The Umayyad commander was Maslama ibn Abd al-Malik (he was the half-brother of Sulayman ibn Abd al-Malik, the man who had Muhammad bin Qasim executed). After making preparations in 716, al-Malik crossed the Hellespont the following year and attacked Constantinople by land. At the same time, the Arab navy established a blockade around the city. Constantinople sat on a peninsula and could only be attacked by land from the west. 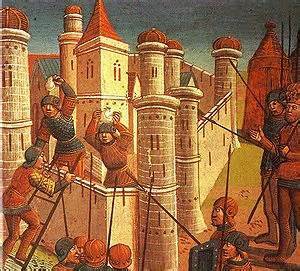 During the siege of 717, the city was completely surrounded and looked likely to fall. However, the Byzantines had a secret weapon of which the Umayyads were unaware. 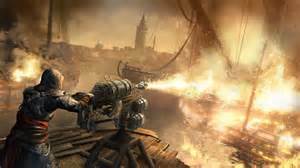 It was called Greek Fire. Although it had been invented nearly 50 years earlier, this was one of the first opportunities the Byzantines had to actually test this powerful weapon in combat. With that in mind, They almost completely ignored al-Malik's army and sailed their navy, armed with Greek Fire, out into the Bosphorus. The Arab navy had no answer for Greek Fire and quickly had to withdraw from the Bosphorus. This allowed the city to be resupplied by sea, rendering the land assault almost meaningless. The Umayyad army held out through the winter, although it was hit by famine and disease. But in the Spring of 718, the caliphate tried a second attempt by sending two fleets into the Bosphorus hoping to overwhelm the Byzantine navy, regardless of its fire weapon. Once again it failed, partly because its ships manned with Christian crews defected and turned against the Muslim ships. Meanwhile on land, the Byzantines made an alliance with the Bulgarians who attacked al-Malik's army from the rear and scattered it. The Umayyad's were forced to retreat by August of 718. Though not nearly as famous as the Battle of Tours from the same time period, the Siege of Constantinople is considered no less important. A defeat on either end of the European Continent might very well have led to its eventual downfall.